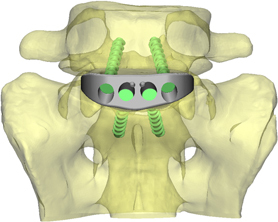 Conventional spinal fusion devices (cages) do not always fit a patient's anatomy and require prepping of vertebral endplates to accommodate the device. Once inserted, suboptimal fit of the device with those endplates can create pressure hotspots that can lead to subsidence of the device into the endplate - thereby obviating the purpose of the procedure and potentially leading to renewed pain and reoperation for the patient. Patient-specific devices that fit well can overcome these deficiencies. Shown here is the stress distribution in the device (left) and contacting endplate anatomy (right). Note the even distribution of low stress (green colours) in the endplate. 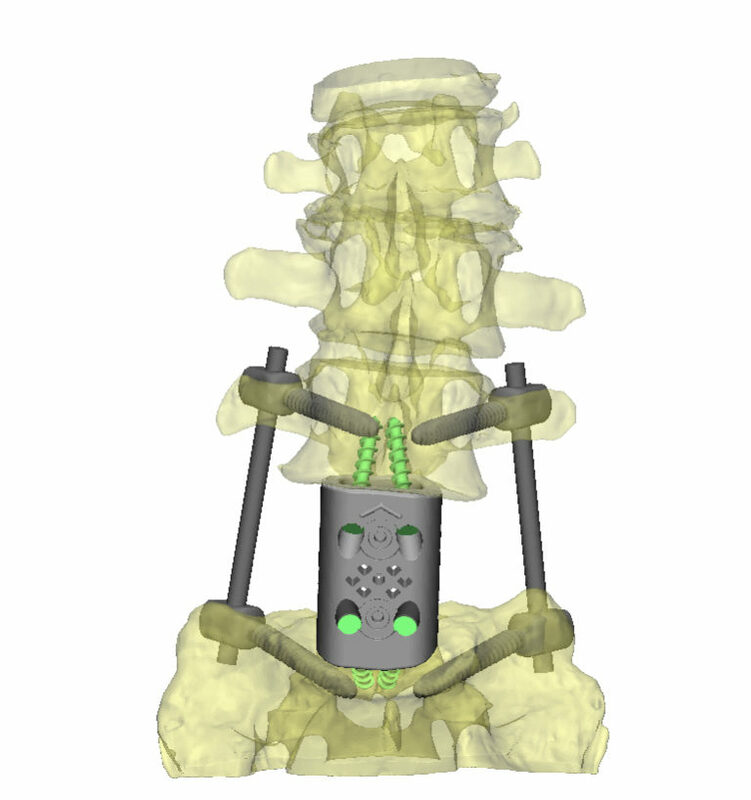 Certain procedures require the removal of one or more vertebrae and replacement with devices that provide stability and fixation while conforming to adjacent vertebral endplates. Our patient-specific solutions have demonstrated good initial stability, while significantly reducing operating theatre time for implantation. The implications are reduced infection risk for the patient, reduced blood loss, and a reduction in operation costs.